The National Trust's Red House is currently closed for the winter but reopens soon, on 2 March. The garden will be open from 11am to 5pm, Wednesday to Sunday (for more information, see the National Trust's website). I first visited Red House and its garden last year in April and am planning on going there again this year; it's a beautiful place in spring! 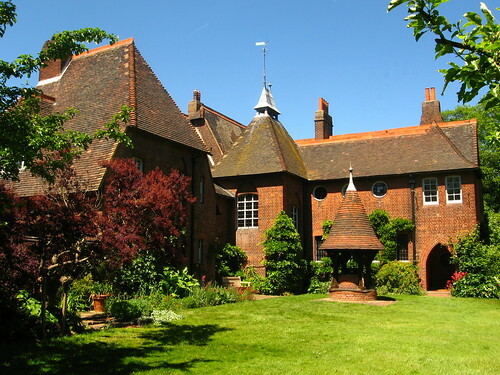 Red House, so named because of the red brick from which it is built, was the home of the English poet and Arts and Crafts artist William Morris. The house was designed in 1859 by Morris and his friend, the architect Philip Webb, and completed a year later. 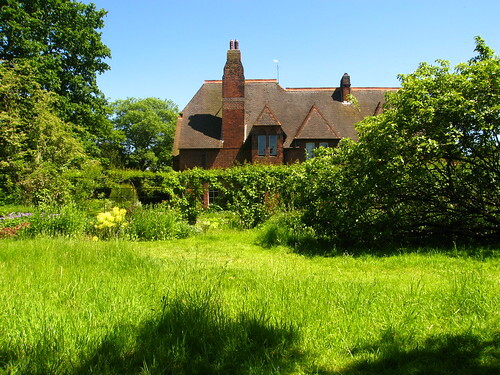 It is considered a key building in the history of the Arts and Crafts movement, featuring wall paintings by Morris and stained and painted glass by Edward Burne-Jones. 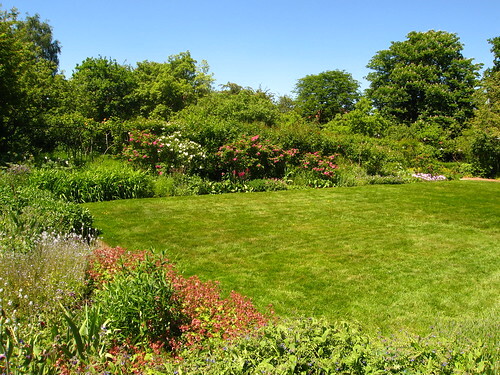 The garden as well was designed in the Arts and Crafts style, making it an important early example of this garden design style that became popular in England in the last quarter of the 19th century. 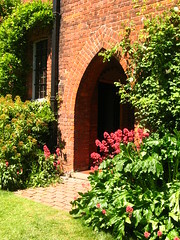 Morris wanted the garden to be part of the house, through the use of a series of so-called "garden rooms" that complement the rooms inside the house. 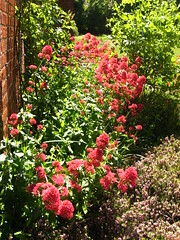 The "garden rooms" at Red House consisted of a herb garden, a vegetable garden, and two areas with old-fashioned flowers and fruit trees. When it was built, the house was set within a rural area in the village of Upton, which is now suburban Bexleyheath in south-east London. Morris and his family only lived in Red House for five years, until 1865. The house was lived in as a family house for nearly 150 years. In 2002 the house was acquired by the National Trust, who are working to restore the house to its original condition as well as possible. Red House is a grade 1 listed building. Take the train to Bexleyheath; upon leaving the station, turn left and walk along Avenue Road. When you get to the main road, turn left, cross the road, then walk down Upton Road until you get to Red House Lane, where Red House is situated just past the Hogs Hole Cottages. The address of Red House is Red House Lane, Bexleyheath, Kent, DA6 8JF.